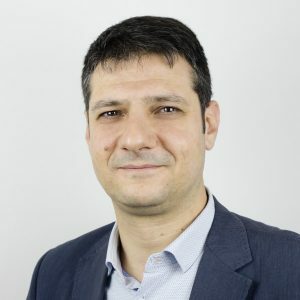 Massimiliano Ferronato graduated in Civil Engineering with first class honours in 1998, obtaining in January 1999 the license to practice as an engineer. In 1999 he attended a Post-lauream Master’s degree at the University of Padua specializing in Maritime and Coastal Engineering. In 2003 he received his PhD in Numerical Geomechanics at the Technology University of Delft (Netherlands). From 2003 to 2007 he worked as Research Fellow and at the Department of Mathematical Methods and Models for Applied Sciences (DMMMSA) at the University of Padua. In 2008 Massimiliano Ferronato was Assistant Professor in Numerical Analysis and since 2015 he is Associate Professor at the Department of Civil, Environmental and Architectural Engineering (DICEA) of the same University. He has been Principal Investigator and member of the Research Team for several research projects funded by various institutions, such as Ministry of Education, Eni E&P, ENEL, SNAM Progetti, Venice Water Authority, Co.Ri.La. and University of Padova. He is author and co-author of more than 150 scientific papers published in international journals and international conferences proceedings on numerical and application-oriented issues.